3125 Highland Ave #202, Birmingham, AL.| MLS# 846299 | Richard Jacks UABLIVING.com 205-910-2297 | Birmingham AL Real Estate | Contact us to request more information about our Homes for Sale in the Birmingham AL area. 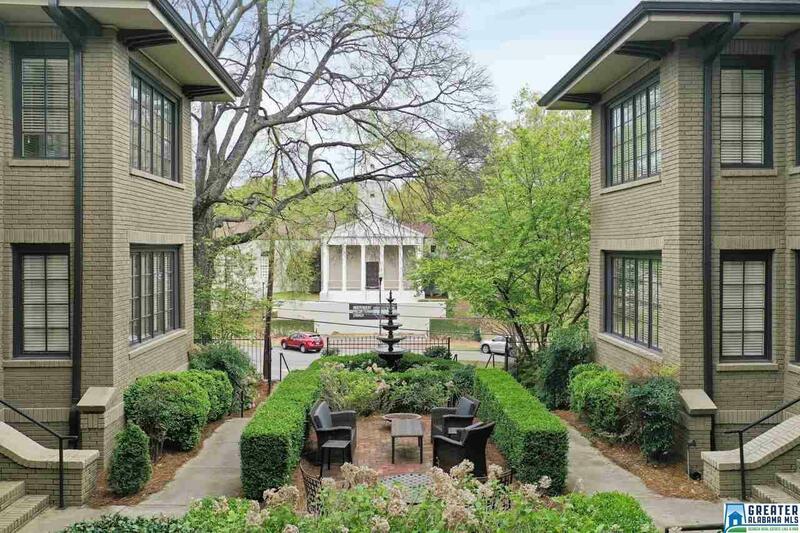 Situated in a private condominium community surrounding a beautiful courtyard and scenery of one of the most beautiful historical neighborhoods in Birmingham, sits this this one of a kind unit in the middle of Highland Park. Walk in this unit to find an open, natural light filled home with all hardwood floors, crown molding, a sunroom, living and dining area, and two bedrooms. The master features a huge spa like bathroom with a separate tub and shower, which is super rare for a condo in the area. The kitchen and baths have been updated and recessed lighting and ceiling fans make for comfort and entertaining. Just outside your doorstep you can walk along the Highland Park golf course one way, and to Rojo, O Henry&apos;s, and all of the gorgeous parks the other way. This location at this price point is one you do not want to miss! Driving Directions: Highland Ave Across From Independent Presbyterian Church.